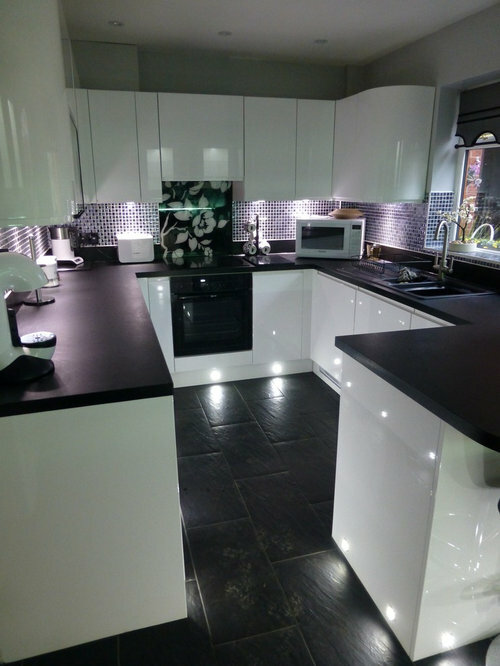 The complete refurbishment of a kitchen to create a stylish and modern feel, with white gloss units, black laminate worktop, integrated appliances and recessed lighting throughout. There is also an integrated TV screen which can be lifted to reveal a cupboard, ensuring a high-tech finish without compromising on storage space. View from the doorway, showing the recessed and plinth lighting. 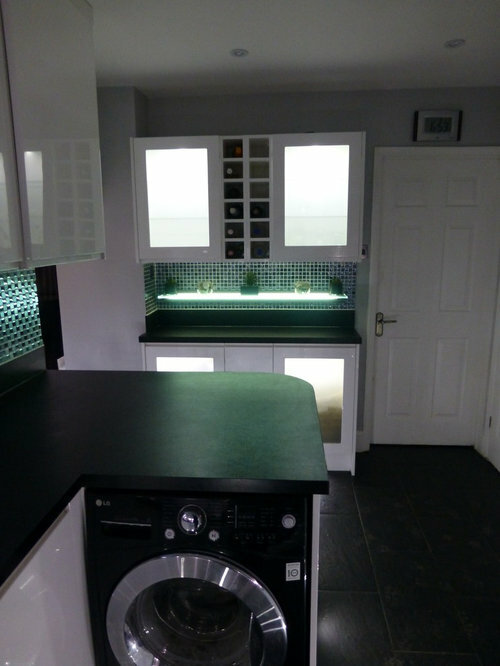 View showing the wine rack, further integrated lighting and glass mosaic tiling. 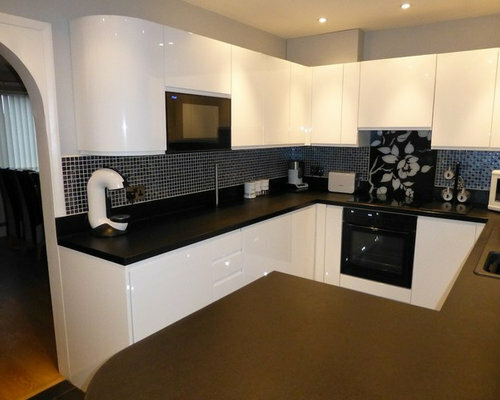 Integrated TV screen on cupboard door, with patterned splashback and glass mosaic tiling.